A lot of people post and interact on Twitter from their smartphone, and if you’re one of those people, chances are you probably use one of Twitter’s native mobile apps for your iOS, Android, or Windows Phone. But is it the best mobile Twitter app out there? Well, that's for you to decide. There are lots of other third-party apps out there that offer different layouts and features for using Twitter, all of which may or may not be useful to you depending on how you like to use Twitter. If you’re not all that impressed with the current interface for Twitter’s native app​ or simply just need a change, you might consider checking at least one or two of them out to see how they can help you manage your Twitter presence better from a mobile device. Have a look through the following mobile Twitter app alternatives to see how you can take your tweeting to the next level whenever you’re on the go. Frequently updated with new features. Built-in support for GIPHY makes it easier to incorporate GIFs into your tweets. Threaded conversations could be easier to navigate. 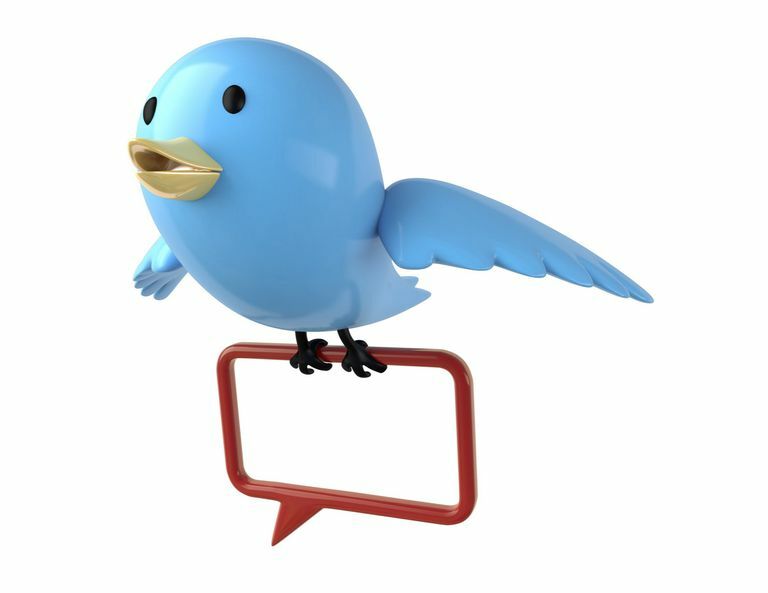 Tweetbot is one of the highest rated and most popularly used mobile Twitter apps out there. The interface simplifies almost every function, even allowing you to build multiple timelines and easily switch between viewing each one. You can customize your navigation and take advantage of its smart gestures for even more simplified functionality. It’s not free, and it's a little more expensive than the average app, but is well worth it. Muting feature makes it easier than ever to ignore certain users. Allows for a lot of customization. The cluttered UI might intimidate some users. Suffers from occasional sluggish performance. For Twitter power users who run on Android, Plume is a great option. It’s fast and has an excellent refresh rate, with the ability to support multiple Twitter accounts. You can make a lot of customizations to make it look and perform just the way you want, including the ability to change colors of tweets, hide avatars, or switch between themes. With Plume, you can manage multiple accounts, view inline photo previews, edit your profile, see what's trending, and so much more. It has all the powerful features of Twitter's native app with a completely different interface. Powerful search feature helps you find tweets sent from specific locations. Built-in themes are aesthetically pleasing. Doesn't send you push notifications. Has been shutdown in the past by Twitter. UberSocial claims to be the world's most popular full-featured Twitter app among mobile users. This powerful and easy-to-use Twitter client brings a suite of advanced options to the table that will probably leave you wondering how you got on without them before. You get a totally moveable menu bar that lets you show/hide all necessary functions, like UberTabs that let you compose tweets with one tap and a media-rich timeline with all links intact. UberSocial is also great for managing more than one account and is available for free for Android, iOS, and even BlackBerry devices. Provides helpful analytics for social media marketing. Easy to integrate with Facebook, Instagram and other social media networks. Most useful features are behind the paywall. The process for publishing and curating tweets could be better streamlined. Most people are aware that HootSuite is a great desktop client for all sorts of social media management, including Facebook and Twitter. But most people don't know that there are also HootSuite mobile apps available as well. And they’re free! You can basically do anything that the desktop app offers, including schedule tweets, manage multiple users, compose tweets easily and even track all of your analytics. It's constantly being updated to maintain the most streamlined design and up-to-date featuring offerings not just for Twitter, but for all the other social networks you can use with HootSuite too. It’s free for both Android and iOS. Wide variety of unique fonts and themes to choose from. Notifications are easy to customize. Notifications must be manually turned on. Consumes a considerable amount of CPU resources. Twitterrific is another high-rated premium Twitter client compatible with iOS devices only, known for its elegant design that highlights the visuals without sacrificing functionality. And it's the only Twitter app on this list that works with the Apple Watch! The app comes with a full list of features that every Twitter power user can take advantage of, including complete design color customization, excellent hashtag filter options for your timeline, native push notifications, voiceover support, and so much more. It’s not available for Android, but you can get it for iOS devices for free, and there's also a Mac version available. Syncs with all of your devices so that you don't see the same tweets again. Chat conversations are easy to follow thanks to threaded conversation mode. Several important features are hidden when using portrait mode layout. Echofon is another popular Twitter client, but unless you are okay with ads being shown throughout the app, you might as well just stick with any of the other alternatives on this list. It’s a free app, but the app has been attracting more bad reviews due to the intrusive ads. Echofon claims to be the only free app that brings you to push notifications and inline photo previews, with an intuitive interface that has been built for speed. Twitter power users may benefit, especially for the convenient "Threaded Conversation Mode" when chatting. It’s available for both iOS and Android devices. Which Free iPhone Twitter App Is Right for You?